Just north of Limoges, take exit 29 on the A20 highway, which forms part of the Paris-Toulouse route. 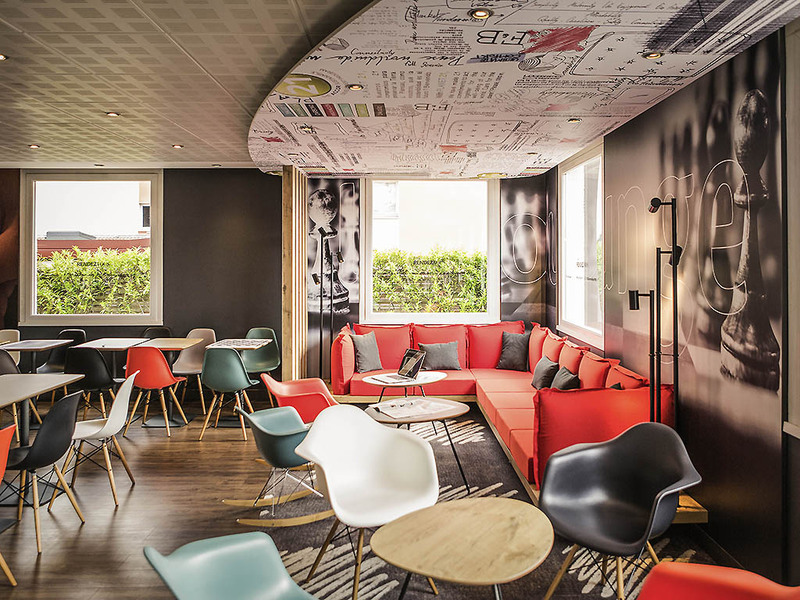 Five minutes from Limoges city center, we welcome you 24/7 in a modern and stylish setting. Enjoy ibis dining with our buffet from Monday to Thursday and our snack menu from Friday to Sunday. Park in our free car park and connect to our free fiber-optic Internet. Our team offers a warm welcome and is here to help. Book now! Located 5 minutes from the town center, you can visit the Porcelain Museum, the Casseaux, the Opera Theater, the old town of Limoges and the martyred village of Oradour-sur-Glane. The hotel is a partner of Limoges City Pass. Explore the city! Sweet Bed by ibis bedding, free WIFI, kettle, tea, coffee and bottle of water.